Increasing consumer spending for purchase of goods and services has led to improvement in offerings by manufacturers and various service providers such as retailers and logistic service providers, as major focus on providing better packaging to guarantee quality of product and service. Thus players in printing industry are focusing to provide attractive printing solutions. Packaging applications account for approximately 50 percent of market share in the global flexographic ink market. Flexographic inks are transferred on to the substrate by the process of flexography. Flexographic inks are primarily used in printing of packaging solutions. Further flexographic inks are used in printing of plastic and paper bags, cardboard box, catalogues, banners and hoardings. Depending upon application of flexographic ink and printing surfaces, several types of inks are available in market. Price is another major factors that influence the adoption of a particular flexographic printing ink. 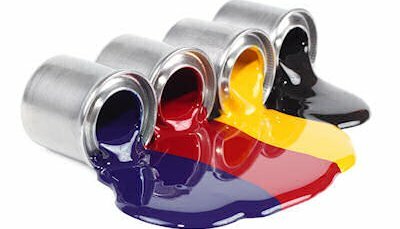 Low cost and environment friendly product offerings is likely to drive the demand for these flexographic inks in turn driving the growth of flexographic ink market during the forecast period. The growing demand for flexographic inks owing to the growth of printing industry is another factor likely to drive the growth of flexographic ink market. Increasing FDI investments in emerging economies and stabilizing U.S. economy further optimizes the chances of the growth of the market during the forecast period. However, recent downturn in Europe and China is likely to hamper growth of the market over the forecast period. Region-wise the global flexographic ink market is segmented into prominent regions such as North America, Eastern and Western Europe, Asia Pacific Excluding Japan, Japan, Latin America and Middle East & Africa. The global flexographic ink market is expected to witness a moderate growth during the forecast period. However region in Asia Pacific (such as China and India) and in MEA (South Africa and Turkey) are expected to register healthy growth during the forecast period. Europe is projected to be the largest market for the flexographic ink. Countries such as Germany, France, and U.K. are markets with strong growth potential for flexographic ink. Following Europe, the next major market for flexographic inks is North America with prominent countries such as U.S. and Canada. Asia Pacific flexographic ink market is also expected to witness high growth rate with china being the major contributor of growth. In Latin America, Brazil, Peru, Chile are among the countries with potential demand for flexographic inks. Japan is another significant market for flexographic ink, with majority of manufacturers located in the region. • Zeller+Gmelin GmbH & Co.
• INX International Ink Co.
• Sakata Inx (India) Pvt. Ltd.